Dads take your child to school day! Join us from 7:45-8:15 this Wednesday to start your day off! 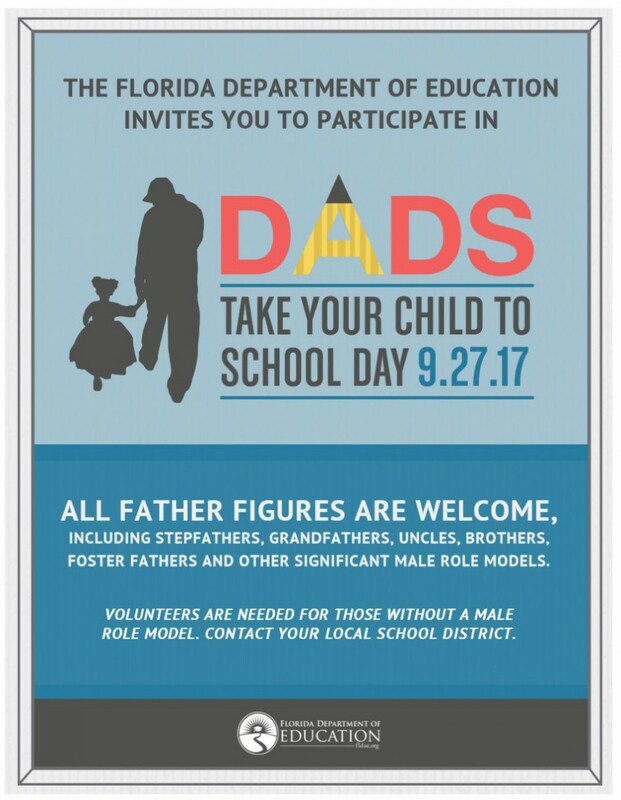 9.27.17 is #FLDadsatschoolday! Fathers, grandfathers, and other male role models are invited to take part in the celebration. Help @EducationFl celebrate by sharing your photos of Dads Take Your Child to School Day #FLDadsatschoolday. PreviousPrevious post:Attendance Matters! !NextNext post:It’s Book Fair time!! Willy Wonka Kids-Tickets On Sale Now!